Hubble Space Telescope image of the cluster Westerlund 2 and its surroundings. Astronomy contributor Jean Creighton speaking with Lake Effect's Bonnie North. "In the beginning, the universe was created. This has made a lot of people very angry and has widely been regarded as a bad idea," wrote Douglas Adams in The Restaurant at the End of the Universe. Lake Effect astronomy contributor Jean Creighton disagrees with that sentiment. In fact, she’s been dedicating her current shows at UWM’s Manfred Olson Planetarium to the beginning of said universe. Friday nights through Feb. 22, people can go to the Planetarium to see Birth of the Universe. Creighton joins Lake Effect's Bonnie North to talk about the show and what viewers can expect to see. This Sunday night, an unusual, astronomical event will come to the sky over Milwaukee: a full lunar eclipse. The resulting red color will remove some of the haze created by the typically bright, white moon — revealing a sea of stars and constellations. Due to the moon's color and some of its other unique characteristics, some are calling the astronomical event a "super blood wolf moon." That's one giant leap for China. 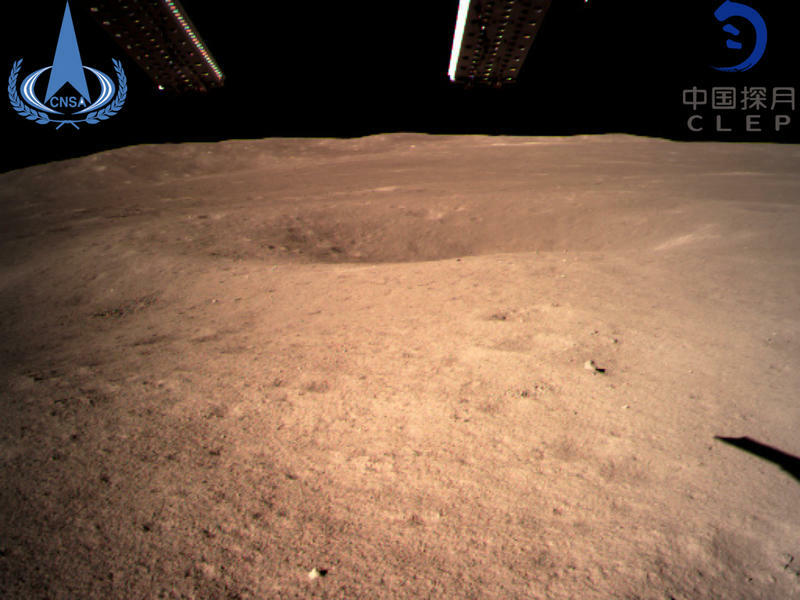 China state television announced Thursday that China's Chang'e 4 lunar explorer, which launched in early December, "became the first ever probe to soft-land on the far side of the moon." The probe touched down at 10:26 Beijing time, the China Global Television Network said. The past year has been marked by major collisions — both metaphorical and literal — that have changed the world and our view of the universe. Recent discoveries have confirmed scientific theories, brought more materials from space and brought to light how earthly elements came into existence. Every month, Lake Effect’s Bonnie North speaks with our astronomy contributor, Jean Creighton, the director of the Manfred Olson Planetarium at UWM. This month, she gives us her list of the top astronomical discoveries of 2018. Scientists at NASA's Jet Propulsion Laboratory in Pasadena, Calif., are preparing to give extra thanks this holiday weekend when their latest mission to Mars — the InSight Mars Lander — touches down on the surface of the Red Planet on Monday afternoon.